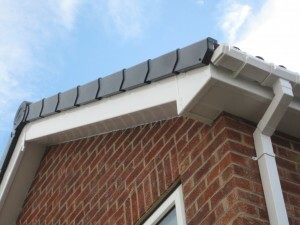 JT Roofing can provide all your guttering repair and service needs with our 24 hour cover. All guttering work is fully guaranteed. Gutters are an essential part of your property, removing excess water away from your roof line and walls, often over looked as they are out off reach. JT Roofing Contractors use only the newest products and technology, to ensure your property commercial or domestic is effectively protected from water damage now and in the future. We also install Seamless gutters, that are continuous and by using internal fixing brackets they are both strong and visually more appealing.